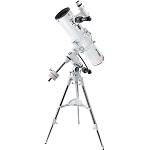 Sky-Watcher's 7.5" f/5.3 Maksutov-Newtonian Telescope features a hybrid optical path that combines the parabolic mirror of a Newtonian with the front corrector plate of a Maksutov to create an optic that corrects for spherical and chromatic aberrations, and comas across the entire field of view. An added benefit of the front corrector plate is that the secondary mirror can be attached to it, removing the struts and supports found in traditional Newtonians and eliminating the diffraction spikes they cause which can degrade the image. The resulting views through the scope are bright and clear with virtually no distortion across the entire field of view with true color rendition. 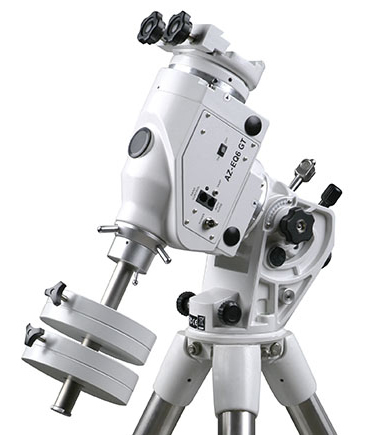 The scope is equipped with a 2" Crayford-style focuser, instead of the more common rack-and-pinion, which uses a steel rod held tightly against the drawtube to provide a toothless friction system that eliminates backlash and enables ultra-fine, precision focusing with its 10:1 reduction micro-focusing knob. 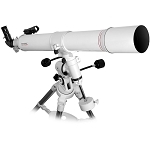 Employing a 2" drawtube allows the use of larger eyepieces and accessories. While there is no mount included, a cradle-ring assembly is provided. It clamps over the optical tube and lets the user adjust the orientation and position of the scope relative to the mount to optimize viewing comfort and balancing, while avoiding interference with other equipment. 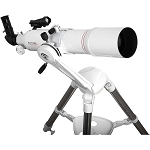 A stainless steel Vixen-style dovetail plate makes it compatible with any alt-az or equatorial mount with a Vixen-style saddle, and a 1/4"-20 stud on the top of the cradle ring assembly enables a camera to be piggybacked onto the scope for wide-field photography. 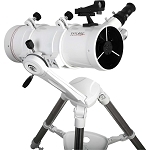 Box Dimensions (LxWxH) 48.0 x 17.0 x 15.0"
Sky-Watcher SynScan mounts have been designed for use by novices and experts alike. 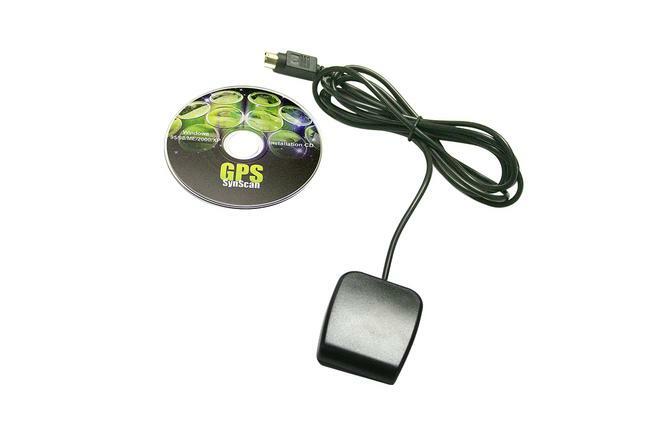 These mounts provide extremely high precision tracking and have built in autoguider ports. 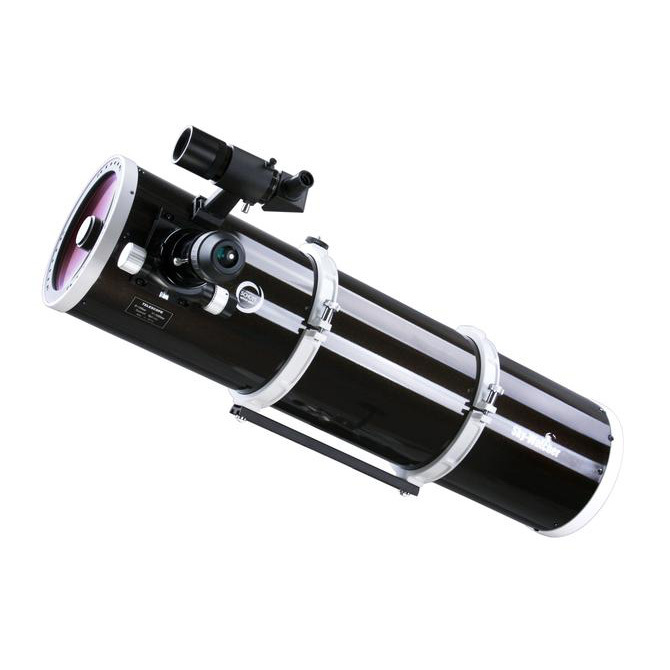 Even the most demanding experts will be impressed by the capability of these mounts for astrophotography. • Positioning Accuracy up to 1 arc minute. Accuracy enhanced by software collimation error (mount mechanical error) compensation. • Stepper motors with 1.8° step angle and 64 micro steps driven. • Slewing speed up to 3.4°/sec (800X). 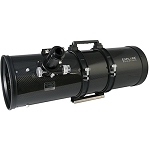 • Auto Guider Interface for astro-photography. • Guiding speed selectable from 0.25X, 0.50X, 0.75X, or 1X. • Object database containing complete Messier, NGC, and IC catalogues. • Minimal vibration for steady long-exposure photography. • Upgradeable hand control via internet download.